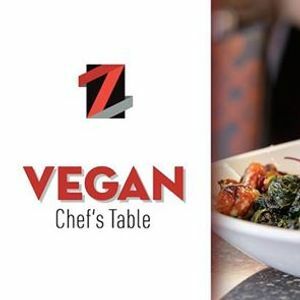 Vegan Kalamazoo's first Chef's Table at Zazios last September was such a success that we're going for round two, March 20! 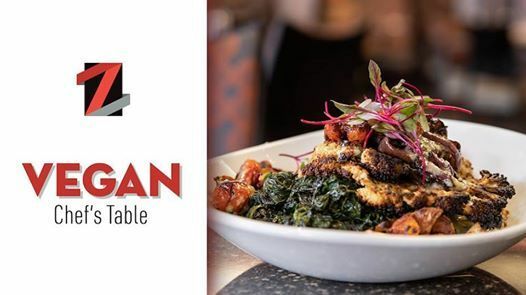 Plus, we'll be celebrating the premiere of Zazios' new PERMANENT vegan menu! What is a Chef's Table? - A Chef’s Table is like watching your favorite cooking show happening right in front of you. It’s held in a specially designed, state-of-the-art "cooking theater" within the restaurant, and the comfortable stadium-like seating to ensure you won’t miss any of the action. As part of a small group, you’ll get to watch and ask questions as Chef Jeremy Cawby and his team prepare your gourmet vegan feast; and if you want, you can even help! Price is $55 per person not including beverage, tax, and tip. An optional wine pairing is an additional $20. Zazios is excited about the opportunity to prepare more vegan dishes and put on a memorable (and delicious!) event. Seating is limited, so reserve your place now by either emailing Michelle Erickson (TUVyaWNrc29uIHwgZ2hna3ogISBjb20=) or calling 269.384.2650. RSVPing here, while always appreciated, will not reserve you a spot. *As always, at Vegan Kalamazoo events, everyone is welcome, including vegans, vegetarians, omnivores, and vegans-in-progress. However, out of respect for our mission, we request that you only order / consume vegan food at this event.